CAN I REGISTER VIA E-MAIL? Yes. You may fill in your data in the registration form (word document) available at the “REGISTRATION” page and send it to the HUA secretariat, office1@huanet.gr. PLEASE NOTE! Registration shall be considered complete only if accompanied by proof of payment of the participation fee. See details here. WHICH CONGRESS PARTICIPANTS ARE INCLUDED IN THE “HUA/EAU MEMBERS” REGISTRATION CATEGORY? 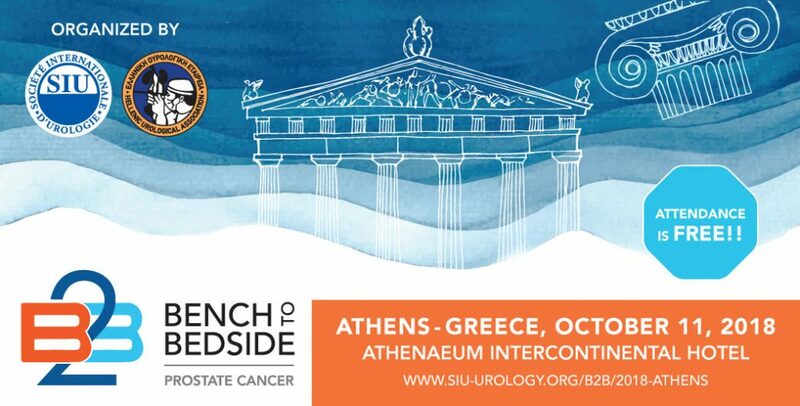 Greek Urologists who are HUA members and have renewed their subscription for 2018, selecting a combined HUA/EAU subscription. Check here for registration categories and cost. I AM NOT A UROLOGIST. HOW COULD I ATTEND THE CONGRESS? The Congress is addressed to all Health Professionals. Doctors with other specialisations, as well as students, nurses, biologists or other scientists may also attend. Check here for registration categories and cost. CAN I REGISTER DURING THE CONGRESS? Yes. The Registrations Office will be open at the Congress location from Thursday 11/10/18 up to, and including, Sunday 14/10/18. Check here for detailed working hours. IS THERE A REDUCED REGISTRATION FEE OPTION FOR A ONE-DAY ATTENDANCE? Unfortunately, there are no provisions for a special one-day attendance. HOW CAN I SUBMIT A PAPER TO BE PRESENTED AT THE CONGRESS? Abstracts can only be submitted electronically through the official Congress website and the on-line system. Abstracts sent via fax or post shall not be eligible for assessment. Please check here for the submission instructions before proceeding. WILL THERE BE ANY AWARDS FOR PAPERS DURING THE CONGRESS? The Scientific Committee will grant Awards to the best paper in each category (Oral Presentations, e-Posters, Scientific Presentations – Video). The authors of papers eligible for awards must state so at the time of submission. Check here for more details. I NEED SOME ASSISTANCE WITH THE ONLINE SUBMISSION SYSTEM. WHO CAN HELP ME? For any information regarding your submission, please contact the Abstract Submission Secretariat, Erasmus S.A., at the e-mail address huacongress2018@erasmus.gr or by telephone, at 210-7414700. IS THERE A LIMIT TO THE NUMBER OF PAPERS I CAN SUBMIT? The number of papers that can be submitted by an author is unlimited. However, no author may present more than three (3) papers at the Congress. If more than three (3) papers are accepted, then the additional paper(s) shall be presented by another of the authors. WHEN WILL THE SCIENTIFIC AGENDA OF THE CONGRESS BE ANNOUNCED? The preliminary agenda of the Congress will be available in June. Yes, 21 Credits for Continuous Medical Education will be awarded by the Pan-Hellenic Medical Association, according to the EACCME- UEMS criteria. WILL INTERPRETER SERVICES BE AVAILABLE DURING PRESENTATIONS MADE BY FOREIGN SPEAKERS? The official language of the Congress is Greek. Speeches by foreign participants shall be in English with no simultaneous interpretation into Greek. If you still have questions after having read this page, pleasecontact us.